I love kielbasa sausage and I used them very often in my cooking. The grocery down the street had a huge sale of it the other day and I bought a bunch to be frozen. I wish I have all the seafood for a ‘low country boil’ for dinner tonight. Anyway, I made this fried rice three days ago and it was different and delicious. It’s a very simple and easy recipe; you can even close your eyes while cooking this one. Enjoy! 1. Heat oil in a frying pan/wok or whatever you have available. 2. Sautee’ garlic until golden brown. 3. Add onion, tomato, carrot, mushroom and cook until tender. 4. Add kielbasa sausage then rice. Stir to combine (about 2 minutes). 5 Add green peas. Cook for another minutes. 6. Add green scallion and sprinkle pepper and salt to taste. Optional: Sweet basil or any other herbs for garnish .You can add soy sauce if you like. I sometimes add sesame oil too. 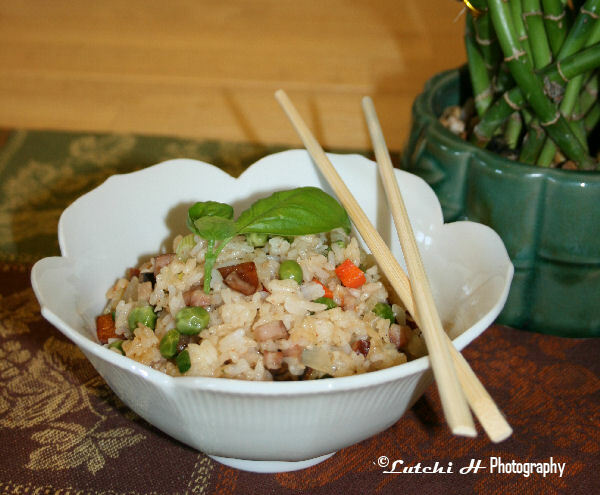 0 Comments On "Kielbasa Sausage Fried Rice"